Ireland is the ultimate campervan holiday destination for all-year-round travel. It offers bespoke locations and attractions, not seen in any other part of the world. Explore the famous Wild Atlantic Way, Ireland’s Ancient East or maybe you want to explore GOT Territory across Northern Ireland. Winter in Ireland gives you plenty of nter is a perfect time to hire from our two depots in Belfast or Dublin. Think of the cheaper rates, wider choice, quieter destinations and unique landscapes like the Causeway Coast which is best enjoyed when travelling to Ireland in the winter season. Plus, the crisp, outdoor air and onboard heating in all our vehicles mean you get the best of both worlds. 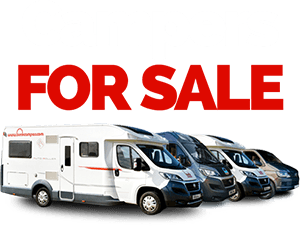 To help you plan your winter motorhome hire in Ireland we have compiled a few go-to websites showing campsites open all year round in Ireland. For your convenience, we will provide a book with all these campsites when picking up your campervan from our Dublin or Belfast depot. 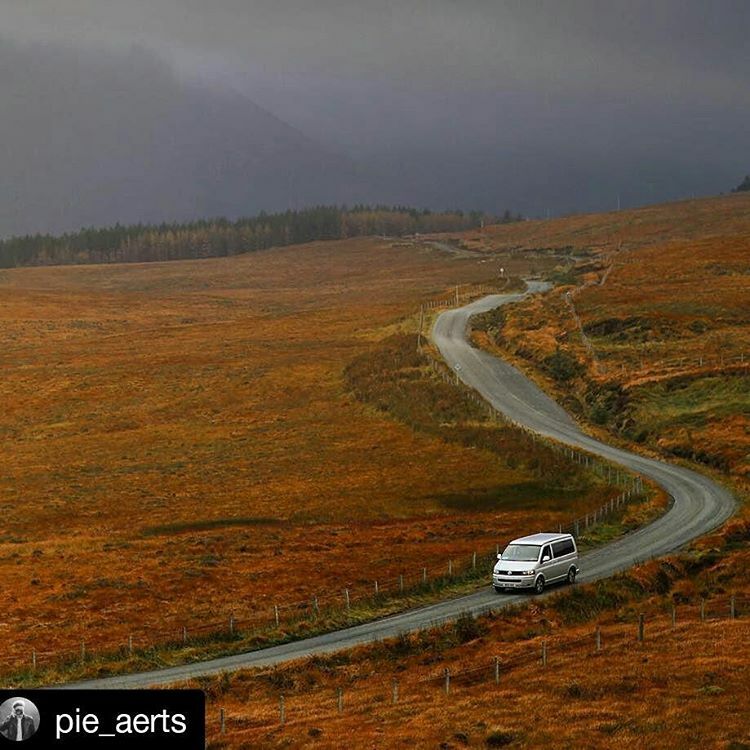 Of course, you are not limited to just these campsites, your campervan can take you to explore the open road – you can find more information here. As part of your booking, we offer free temporary access to Safe Nights Ireland. As a members-only site, it offers the best private and commercial parking areas for campervans and motorhomes across Ireland, with some unique locations off the beaten track. PitchUp is another website we recommend when looking for campsites. They have a really handy locator where you can filter your search by availability and region, among other features. When selecting Republic of Ireland or Northern Ireland campsites open all year round, 14 campsites are displayed! 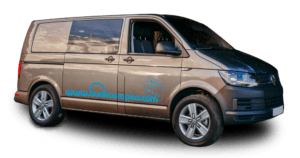 A great choice for your winter campervan hire from Belfast or Dublin. For Ireland’s regulated camping sites, Camping Ireland offers a map and locations list for sites across the Island of Ireland, meaning you can plan ahead and pay without worrying about availability. Search for availability in Ireland and check with the sites directly for opening and availability. For campervans and motorhomes, Wild Camping is illegal across the UK & Ireland although in many parts is tolerated, provided a common sense approach is taken and leave no trace principles are followed. There is always the risk of being moved on – especially if it is considered that you are causing an obstruction. Remember, there is now a vast array of campsites with picturesque locations across the UK and Ireland, use these first before you consider Wild Camping in a campervan. These sites are geared up for motorhomes, have all the facilities as well as a warm welcome and great local advice to visitors. Not to mention that if you’re staying locally on a campsite you’re contributing much-needed income to the local economy! Book Now for Any Season! 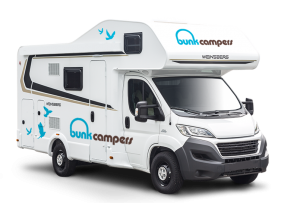 Bunk Campers have a choice of 9 vehicle types for road trips throughout the year. 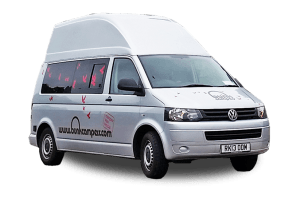 Our Volkswagen campers are perfect for budget or young drivers (21+) Roadie, you can also choose our Nomad camper which has the added benefit of a pop-top roof or Ranger with the high top roof, offering more space and comfort on your campervan holiday. 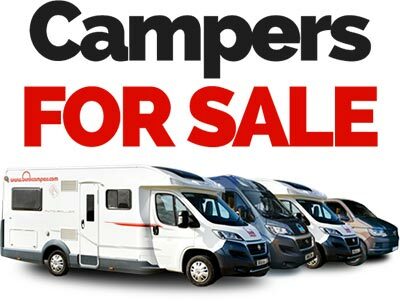 For the added convenience of a shower and toilet, have a look at our other campervans & motorhomes. 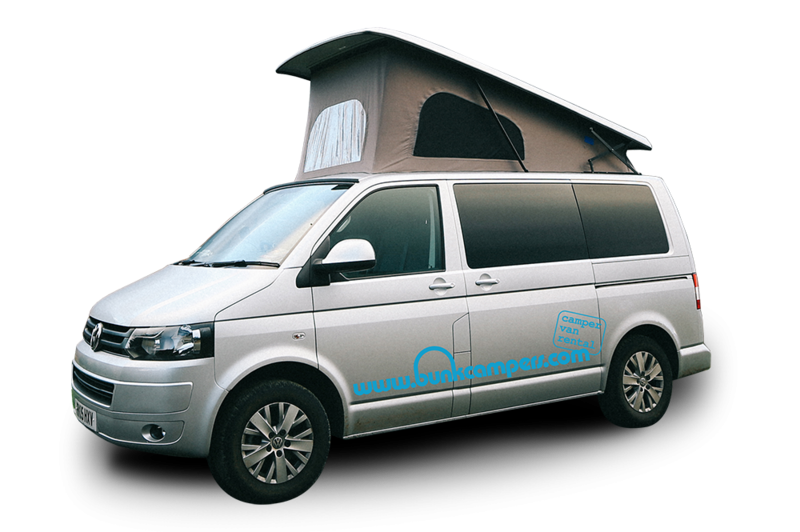 Perfect for couples, the Aero sleeps up 2 people with a fixed rear bed. For small families or groups of friends, try the Vista 4 berth campervan which offers all the comforts of a motorhome whilst still compact and easy to drive. 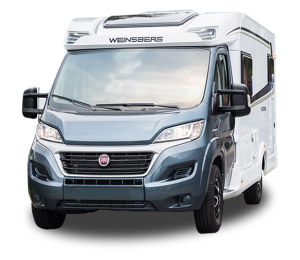 Larger group or families will enjoy the Grande 6 berth motorhome which offers great value for groups travelling on a budget. 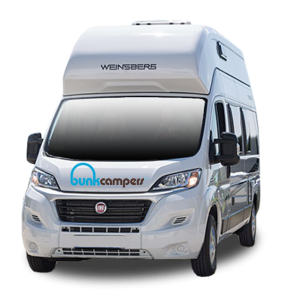 To book your camper holiday, get a free quote on our website booking bar, email [email protected] or call +44 (0) 2890 813057. Don’t forget to follow us on Facebook and Twitter to be updated on the latest promotions and travel tips! 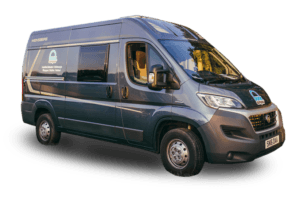 Winter campervan or motorhome hire in Ireland has many advantages. 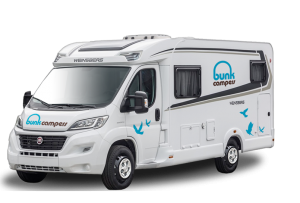 To name some, you can enjoy quieter campsites, fewer queues at tourist attractions and points of interest, cosy nights in your campervan and lower rates – campervan hire in Ireland starts at only £35 per day with Bunk Campers! During winter a lot of our customers worry that they won’t have access to campsites. 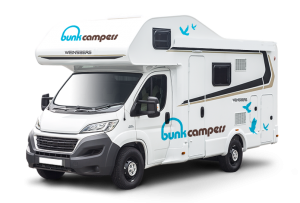 At Bunk Campers we believe campervan hire should be enjoyed all year round, that’s why we have put together a list of campsites that will be open this winter in Ireland. And all of them are certified by the Irish Caravan & Camping Council! So wherever your campervan takes you in Ireland, you can park up, hook up and enjoy your holiday!